Not that, for one moment, we’ve seriously entertained the thought that Bale will up-sticks and toddle off elsewhere over the summer as the nation’s gossip-hounds seem overly-eager to have us all believe he will from time to time – but, in Harry Redknapp’s Tottenham, the Welsh winger currently has the perfect tailor-made stage for his wildly unhinged, mercurially instinctive kick-and-leg-it stylings to blossom further. Regardless of how much stock should be put into them, those who keep a keen eye on Premier League news will have noticed that several premature transfer rumours doing the rounds over the past few days have linked Barton with a £5-ish million move to Liverpool over the close season – I’ll give you a moment to digest the enormous stupidity of that. One would assume that the Sunderland board have been in negotiations with their Manchester United counterparts for a good long while over trying to secure another loan deal for Welbeck in time for next season – and with good reason. The 20-year-old forward has enjoyed a decent season, chock full of regular Premier League football, goals, assists and with a full England call-up thrown-in for good measure – feats he probably wouldn’t have achieved while enviously watching Chicharito hit the ground running from the bench at Old Trafford. As with a certain Chelsea starlet further on up the list, surely another season-long loan deal would be the best course of action for Sunderland, Welbeck and his parent club. Despite his constant overtures to the contrary, Carlitos won’t be tearing up his mammoth City contract this summer. For starters the legal implications would be labyrinthine, but there’s always a nervy inkling that the Argentinian talisman could play the ‘personal reasons’ card and just pull the plug on his career at any time. He shouldn’t. He’s doing rather well at Eastlands. It looks like Aquilani will be swanning back to Juventus on a permanent deal once his loan expires in Turin, but the classy midfielder could slide ably back into in King Kenny’s newly energised side (a lot has happened since he’s been away) if he fancies giving life on Merseyside another crack – though the chances are admittedly slim. ‘Barcelona DNA‘ this, ‘returning to his roots’ that, yadda yadda yadda. 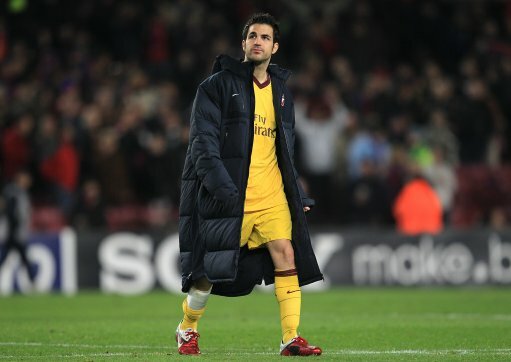 He may well be the best central midfielder in the Premier League, but Captain Cesc still wouldn’t get in the team at the Camp Nou and he knows it. 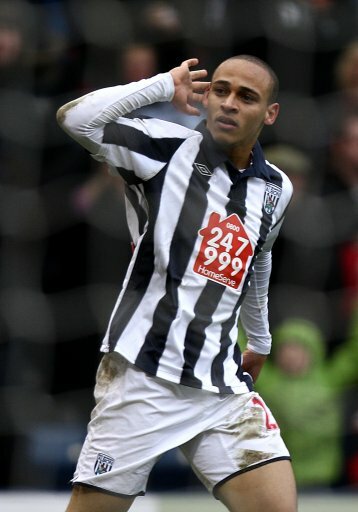 A surprise package of a striker with a decent strike rate is always going to attract interest from the clubs hovering above you in the table desperate for an additional goal-threat, and the fact that Odemwingie has impressed during his maiden Premier League outing is unlikely to have passed over the heads of clubs like Fulham, Everton, even Juventus. However, I’m fairly certain that the Nigerian forward has found his level and a comfortable system in which to play at the Hawthorns, which is not to be sniffed at considering he’s not exactly a burgeoning starlet at the age of 29. Who’s to say Roy Hodgson won’t have the Baggies competing up and around mid-table next season anyway? 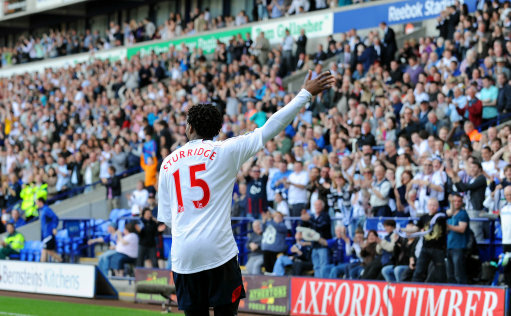 One of the shrewdest signings of the season, Sturridge’s loan move to the Reebok has seen him clamber off his high-horse and finally get a shot at some genuine first-team football – an opportunity the young striker has seized readily. On his return to Chelsea, Sturridge will probably be left to stagnate in the reserves (save the odd League Cup appearance) somewhere underneath Salomon Kalou in the Stamford Bridge pecking order again next term – surely a renewed, season-long loan back to the Trotters would be mutually beneficial seeing as though it seems to suit every party involved down to the ground? If the gossip columns had their way, Young would have joined Manchester United for £25 million several times over by now which, hypothetically speaking, represents a smart move on United’s part however I doubt whether there is anywhere in the world where the dainty winger would be allowed to flourish so prevalently than as part of the sparkling jewel in Villa’s pitted crown – their three-pronged attack anglais. The prissy Moroccan has made mincemeat of several Championship defences this season, partly because of his Youtube-friendly trickery and fine technique and partly because most Championship defences are pretty rickety and the standard of the league is worse than I can ever remember it being. Given his goal-scoring exploits, his Championship Player of the Year award and the fact that he seems to think the entire cosmos and everything in it revolves around his fuzzy backside, you get the feeling that Taarabt may start believing his own hype and angle for a behemoth of a move befitting his intrinsic genius – but the truth is that he really isn’t all that great and would be wise to fully test the Premier League waters at a club where the fans are already on his side. In my ‘umble opinion, Drogba is still a tyrannical forward on his day and will almost definitely still be cutting the mustard next season. It’s Nicolas Anelka that Chelsea really need to start phasing out of their frontline in order to give Fernando Torres the centre-stage he so clearly longs for. I really wouldn’t be surprised if Nico decides to go and try his nonchalant luck in Italy or America this summer or perhaps, after six moody months spent playing second fiddle on the bench, the January thereafter. 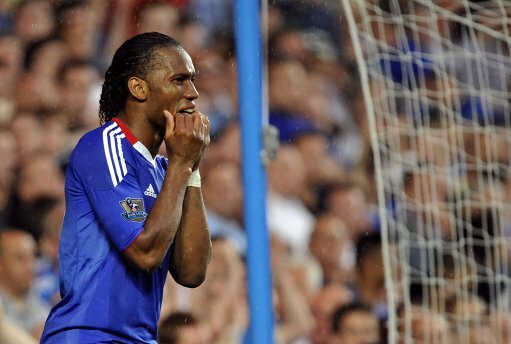 He may well be tempted by a romantic return to Ligue 1 with Marseille but, even at 33, the Drog still has at least another season of top-level channel-running and scything half-volleys in him – he was always a late bloomer anyway. 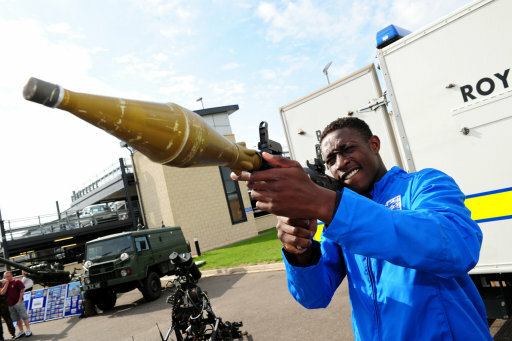 looks like gaddafi recruited some new talent in danny welbeck! Also, you should have put Thierry Henry on this list. Red Bulls will have a tough time keeping hold of that talent during the summer. Offers from top clubs will probably be flying in for this soccer genius! agreed. dembele is true “kwality” as rafa would say! Add Modric to the list ..
A Championship reference on Pies!! Shock horror!.. technically speaking, taarabt really IS all that. Not sure if anyone would-be-a-courtin’ him, but Dempsey outta stay at the Cottage. Yes, Bobby Z has been injured, but there’s a pretty massive drop in goals in Clint goes.